Several sizes for up to 2200ml discharge per stroke. 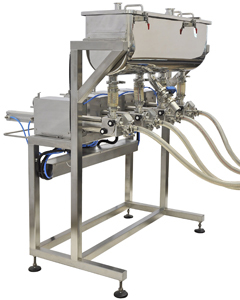 The Linapack volumetric piston fillers are both precise and fast. 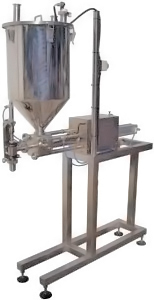 They can be used manually or connected to an automatic filling machine. 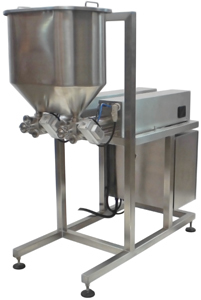 Options for insulated or steam jacketed tank for hot filled products, product agitator, etc. 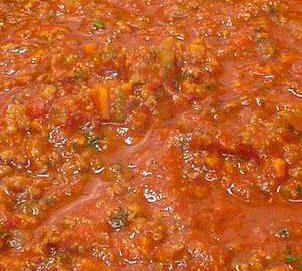 Food and beverage: sauces, juices, creams, dough, etc. Cosmetics: shampoo, liquid soaps, gels, creams, etc.